Now this is how I remember games looking on the old Atari 2600, blocky graphics and vivid colours and I loved them. 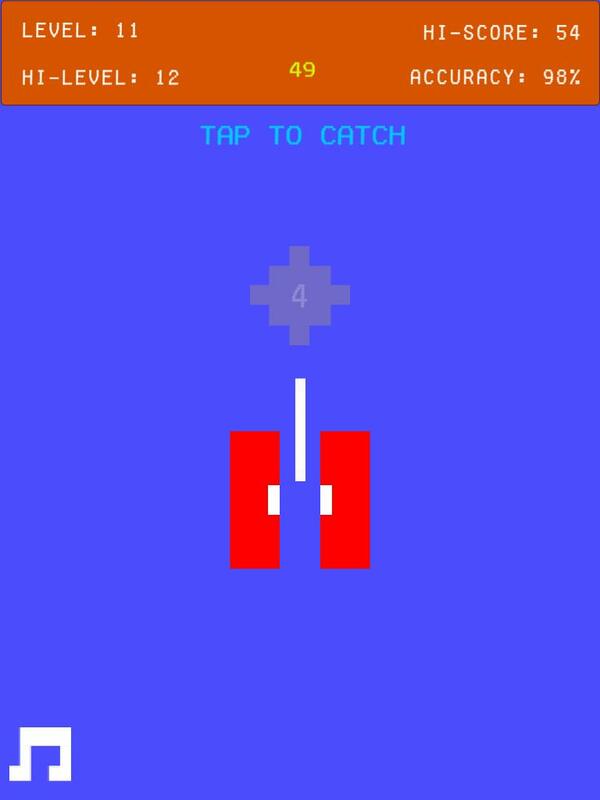 Ok, so the basics of the game is that a Jazzle drops down the screen and you simply tap the screen to catch it. Each round the Jazzle moves a little faster and becomes a little shorter. The catching mechanism also becomes a little shorter, although it resets in size every 50 rounds or so. If you fail to catch a Jazzle then its Game Over and you have to start from scratch. New backgrounds colours are unlocked as you progress, because well I love all the different colours. Also the Jazzle will taunt you, but as you progress you begin to change the Jazzlers taunts from negative to positive. In case you’re wondering, I can get to around level 50 so far. Jazzlers is available for both Android tablets and phones on Google Play. There are no plans for an iOS version yet, because iOS free games are pretty much dead without a big old marketing budget, maybe after Christmas, who knows.